Have you ever run into some problems for Instagram, like, your Instagram app is down or not working? These issues ranged from problems with getting the app to open, to it crashing once it got started. Find out how you can troubleshoot or how to fix Instagram down or not working issue, here. Question 1: My Instagram App always crashes or cannot open, how to fix it? Question 2: Instagram not loading or Instagram couldn't refresh feed? Question 3: Instagram videos not playing/loading? Answer: If you haven't tried it yet, the company suggests deleting the Instagram app and reinstalling it on your device. For some users, this has fixed the problem with the app not opening. However, other users on Reddit have reported that while the Instagram app will initially work after redownloading, as soon as the app is closed, it begins crashing again. If you haven't tried it, though, we would suggest doing that first. 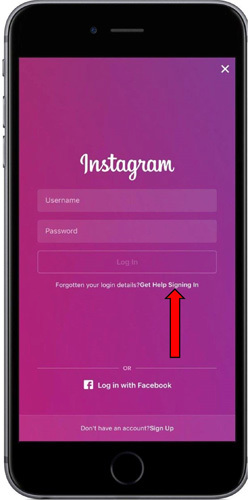 The other solution, if you can't get Instagram to work but need to access it on your mobile device, is to visit Instagram via your mobile browser. Since Instagram does have a web version, you only need to visit Instagram.com on your mobile browser (e.g. Safari, Chrome) and log in with your account credentials. The website version of Instagram looks very similar to the app and will allow you to post, favorite or respond to posts just like you can in the app. You may get trapped with the situation: try to upload some pictures to Instagram, but it simply said "couldn't refresh feed" each time you tried to refresh the page. This is the most common problem on Instagram. The general reason for Instagram not working is with the DNS and the conflict with IP address. If you still get stuck in the issue, just try the following solutions to check if they can work for you. Answer: First of all, Check your internet connection 2G, 3G, 4G or WiFi you are connected to. Switch network if available, such as from 4G to WiFi. Then, Check whether your internet connection signal is weak. If so, it may cause the Instagram not working problem. And Check if the WiFi you are using is currently connected by other people, which may throttle your bandwidth, leading to the Instagram down issue. Answer: From time to time, you have the problem with the videos on Instagram playing. This issue happens when you are running the older version of Instagram app. To fix this Instagram videos not playing on iPhone, iPad, Android, Firefox or Chrome, just try the following tips. 1. Restart your phone or tablet first if you face with Instagram not working with videos. 2. 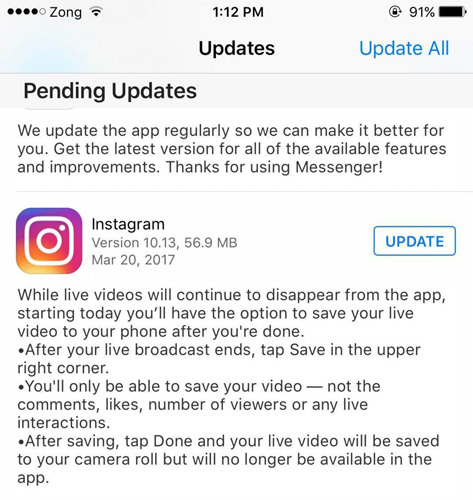 Deleting and reinstalling Instagram if restarting your device doesn't help. For iPhone and iPad users, please tap and hold the Instagram app icon until it shakes from the Home screen; tap x on the app to delete it and reinstall Instagram in the App store. Log in with your username and password. For Android users, Go to Settings > Applications > Manage Applications > Instagram, tap uninstall and reinstall it in the Google Play Store. 3. Please use Instagram on WiFi and mobile data connection to check if the Instagram videos not playing issue is caused by this. If you've noticed that Instagram seems to be malfunctioning, please follow these troubleshooting steps to get the issue fixed. Or if you've encounter other issues which not covered in this post, feel free to tell us in the comment section, we will update as soon as possible. Why Does Instagram Keep Logging Me out?